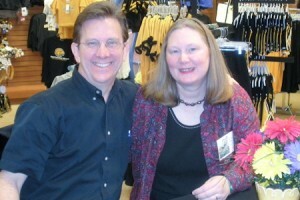 I spent Wednesday through Friday at the Fay B. Kaigler Children’s Book Festival at the University of Southern Mississippi in Hattiesburg. 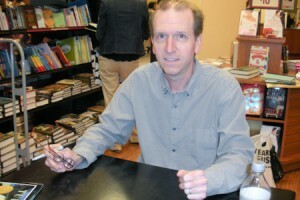 David Wiesner, author of classics such as Flotsam, The Three Pigs, and Tuesday, was this year’s medallion recipient. In his talk, he chronicled his artistic development and influences. Some he mentioned were: Charles Knight (the artist who conceived what dinosaurs looked like), Breugel (felt like you could travel into his pictures), Dali (“weird and strange was good in my book”), and MC Escher (breaking boundaries and going from one reality to another). The biggest treat in Wiesner’s presentation was a preview of his newest book, Art and Max, which will be released in October. It looks like a winner. Two engaging characters; dialogue is the only text; clever look at different art media (paint, pastel, water color, line, etc. ); and fabulous art. See a video about the project here. Here I am presenting my workshop “Finding Math in Your Own Backyard.” It is always a pleasure to be at the book festival. I saw lots of familiar faces. Many of the librarians told me how kids are reading Wolfsnail: A Backyard Predator. I heard stories of 5th graders finding it on the shelves and making 100 percent for the first time on an AR quiz for a nonfiction book; grandsons who want it read over and over; a young girl library patron who took pictures of a snail she found and brought it to the library for a positive wolfsnail id. 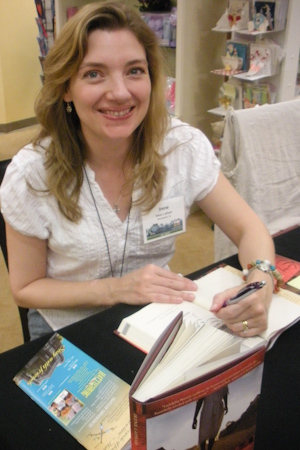 I am so grateful to the librarians who have embraced my books and are helping to get them into the hands of kids. Interest in Growing Patterns: Fibonacci Numbers in Nature was strong. 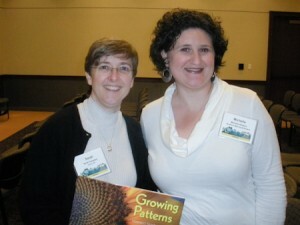 During my session, I showed the Growing Patterns book trailer. 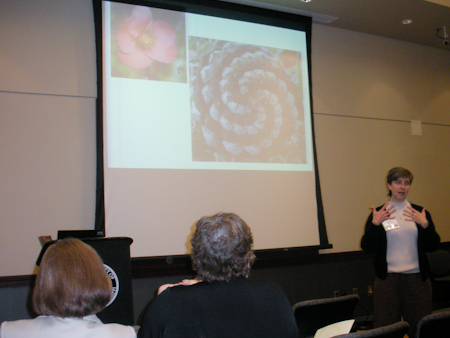 Many in my session were learning about Fibonacci numbers for the first time or, if not, learning about their connection to nature for the first time. There are always a few exceptions. Michelle Shelton, a graduate student in USM’s School of Library and Information Science, told me that her library in McAllen, Texas, is building a new building with a children’s department based on the Fibonacci sequence and its connection to nature. The town is turning an old Wal-Mart into a public library. Whenever I talk to graduates of art school, designers, or architects, they are all aware of Fibonacci numbers. One of my presentations later this month will be in the Evanston (Ill.) Public Library, where they have a fountain in the library with Fibonacci-influenced design. Another great thing about this year’s CBF was that I shared a hotel room with two of my writer friends, Hester Bass and Irene Latham. Here is Hester during her session, “I think I can: A librarian’s guide to writing for children.” Hester, the author most recently of The Secret World of Walter Anderson, shared ten things librarians can do to make the dream of writing for children a reality. From Number One, “Discard the misconceptions,” to Number Ten, “Don’t Quit. Submit,” she packed at least 100 useful tips into an entertaining presentation that left us all inspired. 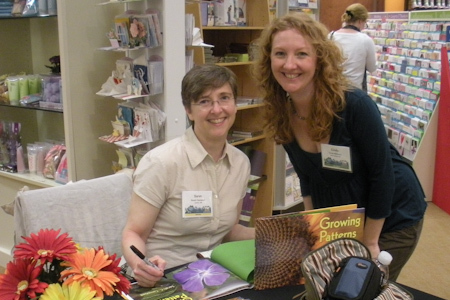 This has been a popular workshop for Hester since she wrote a paper on the topic and had it accepted at the 2009 American Library Association Conference. Here’s Irene signing a copy of Leaving Gee’s Bend. 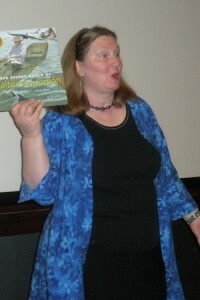 Though Irene did not present at this conference, her book was very popular. I sat next to her at the signing table at the bookstore and I heard many people come back to tell her they had stayed up late the night before finishing the book. Many also came back to get another copy. Since we spent so much time together over the last few days, Hester, Irene, and I are cooking up a possible collaborative project. Stay tuned. 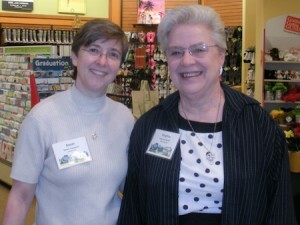 Other great speakers I was able to hear were: Richard Peck, Sharon Draper, and Maureen Johnson. Sounds like a great week. So glad you all had a good time and a good showing for Breezers! I just love it. Keep them coming. So envious! I’m excited about the new David Wiesner book. Thanks for sharing what you learned. It sounds like you had a great time. I’m can’t wait to hear about the collaborative project!